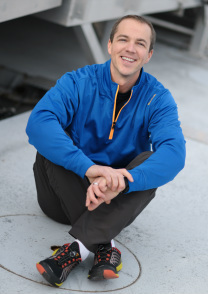 ​My name is Mike Wilcox, I specialize in functional training, implementing exercise techniques that allow each individual to live a better daily life. In 2005, I earned my American Council on Exercise Certified Personal Trainer certificate. By having 15 years of personal training experience and over 20 years in the fitness industry under my belt, I have developed the knowledge, techniques, personality and compassion to encourage individuals to live a healthier lifestyle. My largest passion is finding a way to connect with people and showing them how to make their lives a little bit healthier. I truly believe in people and love watching individuals grow and move past their fears to accomplish better things in life. I love to build people's confidence and self-esteem to a point where they feel like nothing can hold them back. They feel prepared for life's adversity and adventure! I am always motivated to learn and become educated in the constantly changing health and fitness field. I earned a Bachelor of Science degree in Community Health from the University of Maine at Farmington, concentrating on physical fitness and wellness. I was a 2-year captain and all-conference basketball player in college giving me great personal experience as a leader as well as fitness training as a college athlete. I intend to use my education and experience to positively impact the greater Bangor community through Wilcox Wellness & Fitness. ​My favorite thing about exercise is that it allows me to do all the things I enjoy outside of the gym. I am never limited because 80% of the time I eat well and exercise, the other 20% I really enjoy my life. Some of the things I enjoy doing include cycling, hiking, camping & fishing, kayaking, cross country skiing, and many other outdoor activities. I live in Bangor with my wife Paige, our son and daughter Hazen and Brooklyn, as well as our dog and cat Oliver & Marley. 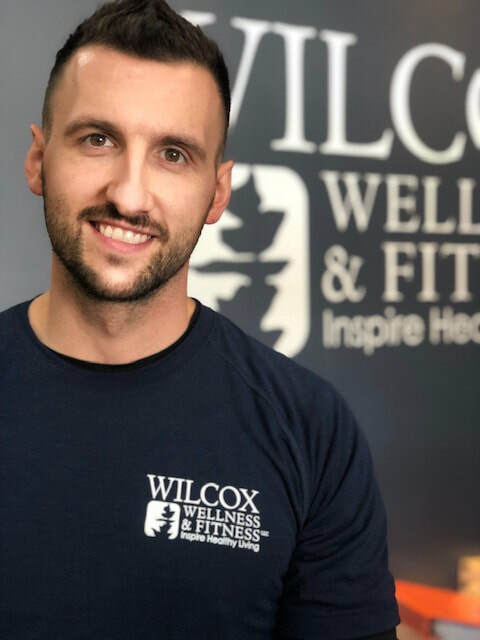 ​My name is Paige Wilcox and Mike and I opened Wilcox Wellness & Fitness together while I was still working my corporate account management job. Since I was a little girl, it has always been my dream to own my own business. I just didn’t know what type of business that would be. What I did know, that through that business, I wanted to work to make the world a better, more beautiful place. That is exactly what I wrote in my college acceptance essay to the University of Maine Business School. My favorite childhood book was Mrs. Rumphius – a story of a little girl’s great aunt, Mrs. Rumphius, who made the world a more beautiful place by spreading lupine seeds from Maine all over the world. I wrote in my essay that I did not yet know how I would make the world a better place but I knew I would do that through business. ​Mike and I met in 2006 - he was a long time personal trainer and I was always so inspired by the work that he did and the impact that he is able to make on the lives around him. When people commit to health and fitness, everything else in their lives falls into place. It is absolutely amazing to me – they have a better relationship with their family, they are able to advance more quickly in their careers, and overall their outlook on life in general is so much more positive. This not only effects the individual who is benefiting from the healthy lifestyle but everyone surrounding them – their spouse, children, boss, employees, co-workers, and even the mail man. This is the change in the world that I am so honored and excited to be part of. In 2012, we opened Wilcox Wellness & Fitness in an effort to affect more people in our community. I believe that through health and fitness, we can make the world a better, more beautiful place to be. This is why in 2015, I decided leave my corporate job in the biotech industry to come on board with the business full time to help be a catalyst to that change. My goal is to help Wilcox Wellness & Fitness positively effect more of the people of our community. I am so excited to see the ripple effect this change will make in our world. ​​My name is Katie Norwood, I have been involved in the fitness industry since 2008. I earned my bachelors degree in Exercise Science from the University of Maine, where I became an ACE certified personal trainer. My goal is to help clients discover their own potential and strength. Everyone deserves to live the healthiest life possible, have confidence, and feel their best. Being healthy and fit can help you see the world differently. The world looks different from a bike or a pair of skis than it does from a car or an airplane. Those are the moments that make up your life. I make workouts fun and rewarding, challenging the body and mind in exhilarating ways. I truly love fitness and helping others find their love for fitness. Exercise is my passion. I want people to see exercise as a joy, not a utility; as a gift, not a chore; as an opportunity, not an obligation. I hope to meet you soon and share my passion for healthy living with you. 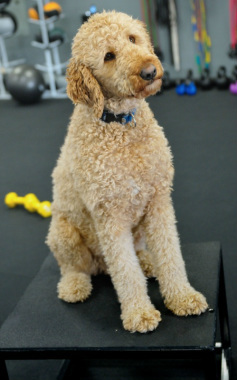 ​​Hello, my name is Oliver Wilcox I am a 8 year old golden doodle. I am one of the founding partners of Wilcox Wellness & Fitness and I played a key role of setting the mission of the business to help people live their best life through health and fitness. I am incredibly skilled when it comes to helping people feel more comfortable in the gym. I have a great sense for when clients need a little extra golden loving. I spend most of my days at the gym. My goal is to give our clients the little extra encouragement they need to get through the challenging workouts. If I am not lounging on my bed in the office, I can be found laying on my back next to the TRXs or begging for ear scratches. When I am not in the gym, I love spending time with my family, swimming, and sniffing in the woods. Be sure to give me a high five (or knuckles) on your way out! Wilcox Wellness & Fitness is a rapidly growing personal training business in Bangor, Maine. Our mission is to inspire people to enhance their life by forming healthy habits that they can sustain for a lifetime. We are looking for energetic and enthusiastic people to support our clients throughout their health and fitness journey.